Fatten up your vinyl art collection with some berry-licious Cap'n Cornstarch Crunch! 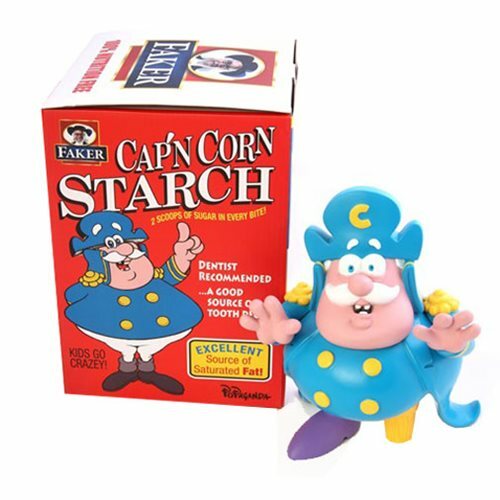 Designed by Ron English, this 9-inch figure features the classic Cap'n Cornstarch with an updated berry-tinted deco. This Capn Cornstarch Crunch Berries Colorway by Ron English Vinyl Figure comes packaged in a cereal-themed box. Ages 15 and up.